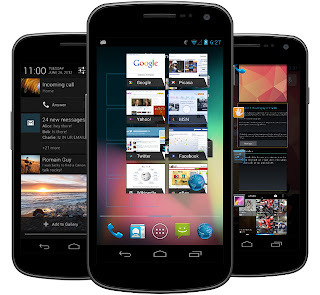 When it comes to custom ROMs firmware, the Galaxy Ace users can choose from a long list of updates, though they should be aware that not all the OS improvements are working properly. Also, not all the ROMs can be installed on both versions of the device, the S5830i and the S5830, therefore you must check the compatibility first. Anyway, today, I will teach you how to update the S5830i variant of the Galaxy Ace to Jelly Bean 4.1.1 OS and this by installing the Jellyblast custom ROM firmware. Use the link from here and download the Jelly Bean update file. Connect the Ace with the PC (you need the USB cord for that). Take the downloaded file from step 1 and copy it to the phone’s SD card. Unplug the USB cable and turn off the handset. You can manage to do that by holding and pressing the Menu and Power buttons at the same time. One the recovery mode menu is being displayed, use it and choose the next options: “wipe data factory reset” and “wipe cache partition” (remember to backup the data before applying this step). Then, select “+++go back+++” and return to the main menu. From there, select “install zip from SD card” followed by “choose zip from SD card”. You can now select the downloaded file and flash the same on your Galaxy Ace. ; we are almost done. Wait until the process is over (a couple of minutes) and in the end select “+++go back+++” and “reboot system now”. So, what do you think? It wasn’t that hard after all. In fact there are more pre requisites than actual steps, but this is the only way for safely updating the Samsung Galaxy Ace S5830i to Jelly Bean 4.1.2. All this was possible thanks to those of xda-developers who had provided the Jellyblast Custom ROM Firmware for us. Test the new software and use the comments are for sharing your impressions and conclusions with us and with other Android users. You have finished reading Update Your Samsung Galaxy ACE GT S5830i with Android 4.1.1 Jeally Bean and many articles about Tech Gallery in our blog this, please read it. and url link of this article is https://littlebitjohnny.blogspot.com/2012/12/update-your-samsung-galaxy-ace-gt.html Hopefully discussion articles on provide more knowledge about the world of new tech gadgets.